There’s not a lot that can convince this correspondent to go into town on a Monday night, especially with Sunday’s Line of Duty waiting to be watched on the Sky+ box and the final episode of Fleabag waiting to be broadcast, but the press launch of this year’s Pride in London ensured that I eschewed the telly and tubed it Up West for the BIG REVEAL of this year’s theme. Reader, I approve. 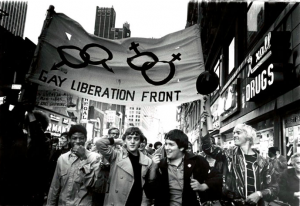 #PrideJubilee manages both to convey celebration and to honour those amazing trailblazers from across the pond who, on 28th June 1969, gathering at the Stonewall Inn in Greenwich Village, Manhattan, rose up against continued oppression, triggering a series of events that gave rise to the modern day Pride movement. The #PrideJubilee marks 50 years of activism, protests and victories that have made Pride what it is today. To mark the global anniversary, for the first time in its history Pride in London is launching an online call for the community to highlight the moments that have defined the Pride movement. From the infamous shotglass thrown by Marsha P Johnson on the night of the Stonewall riots, through to the scrapping of Section 28 and the speeches on marriage rights by Panti Bliss, Pride in London wants to honour the moments in the past that have paved the way for LGBT+ rights in the present. With key issues like LGBT+ education and the death penalty in Brunei now part of daily headlines, the need for visibility at Pride is stronger than ever. It’s easy to fall into the trap of thinking that progress on social issues is a one way street and that LGBT+ equality, inclusion and acceptance is a done deal. And yet, while both legislation and a sea change in social attitudes mean that Pride events in the UK have morphed from the protests of the 70s and 80s to the no-holds-barred celebrations we’ve come to expect, a worrying lurch to the intolerant right in parts of Europe and in the USA teaches us that if we take our eye off the ball, our hard won freedoms could quite easily be lost. Hell – last week Brunei didn’t impose Sharia Law. Now you can get stoned to death for loving the wrong person. FFS. 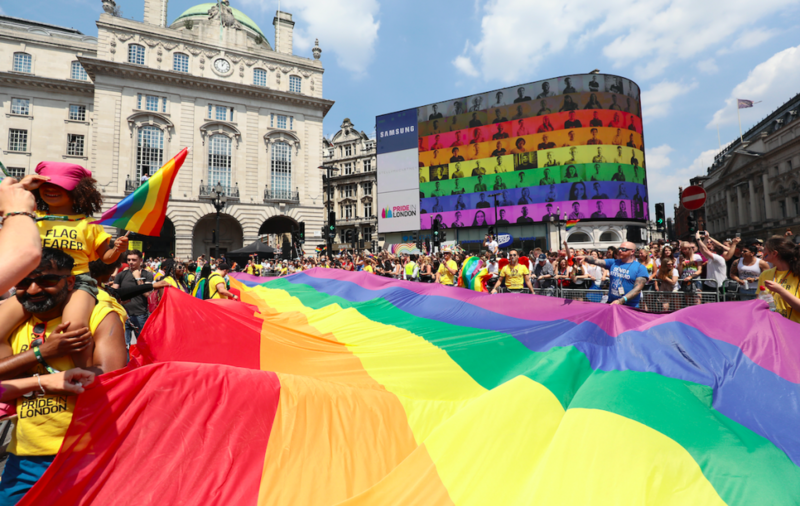 In recent years, Pride in London has been supported by companies and volunteers who help keep the event in the capital free for everyone to attend. 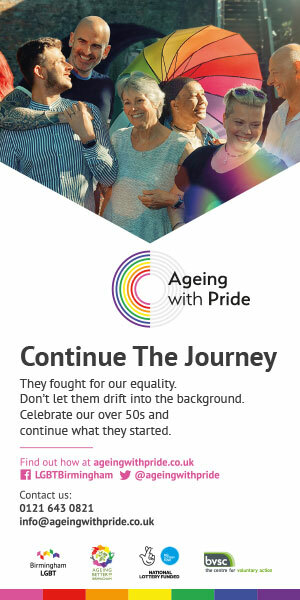 While these groups only make up a small percentage of all people participating, #PrideJubilee is asking companies to look back through their archives to the people and moments that pushed boundaries and made it acceptable for brands to proudly fly the rainbow flag. Alison Camps, Co-Chair of Pride in London, added: “At Pride in London last year, and with the constant and senseless attacks on the trans community since then, we’re seeing that Pride Matters more than ever. For our part, we’re working hard to learn from what happened to ensure there is no repeat of the transphobic hate that was spewed at our event last year, so that Pride is a welcoming and safe space for every single person in the community who shares our values of inclusivity and respect. As well as seeking nominations for the moments, Pride in London is also encouraging local artists, venues and organisations to submit event proposals for the month-long Pride Festival. Proposals will be welcomed that focus on offering a glimpse into the history of the movement, as well as those looking to the future.